Good morning, dear readers! For today's blog post, I am reviewing this glitter nail polish topper from Born Pretty Store. 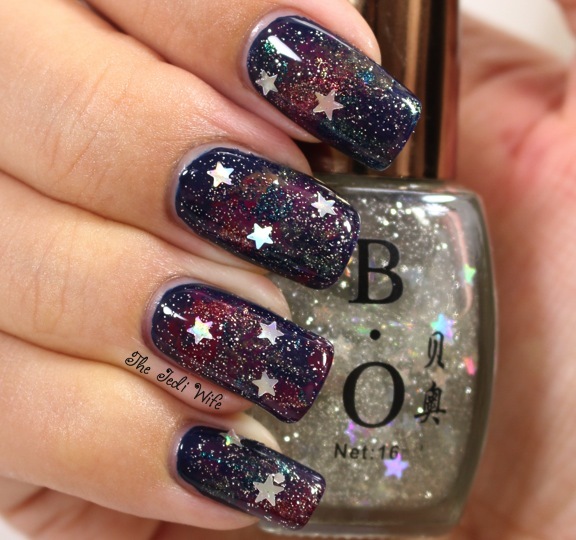 This polish is made of small silver glitters with additional larger silver stars. 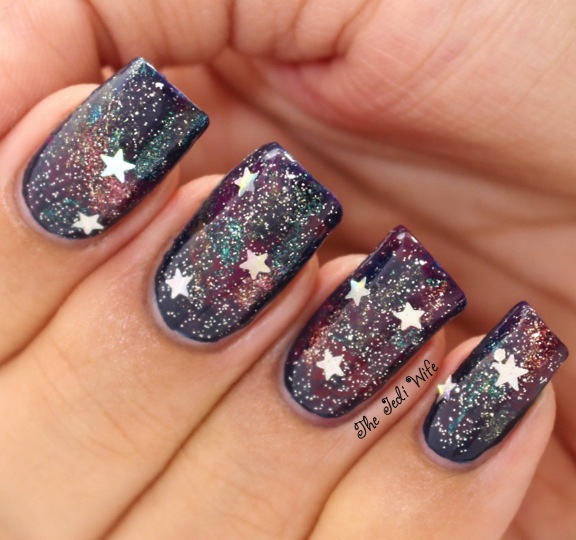 There are several cute nail art ideas that came to mind when I first saw this polish, but I really wanted to use it to create galaxy nail art. To create this look, I first started with a base colour of Ryan and then sponged on the remaining shades. I then applied one plus coats of the glitter topper from Born Pretty Store. 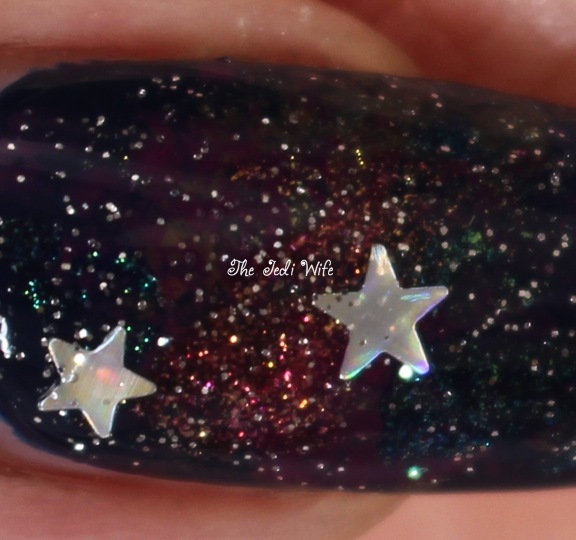 This glitter topper applied quite easily for me, and the stars didn't really give me too much trouble. I did not have to fish for any glitters, and with each dip of the brush into the polish, I pulled up one to three stars. In the areas that were a little more bare, I added just a touch more glitter, hence the one plus coat designation. Please note that this polish does have a strong smell, so you will want to work with it in a well ventilated area. Overall, I really like the simple look of this glitter topper, and I'll definitely be using it in other nail art looks in the future! You can purchase this glitter topper here. While you are at the Born Pretty Store site, you can order other cute items for all your nail art needs. 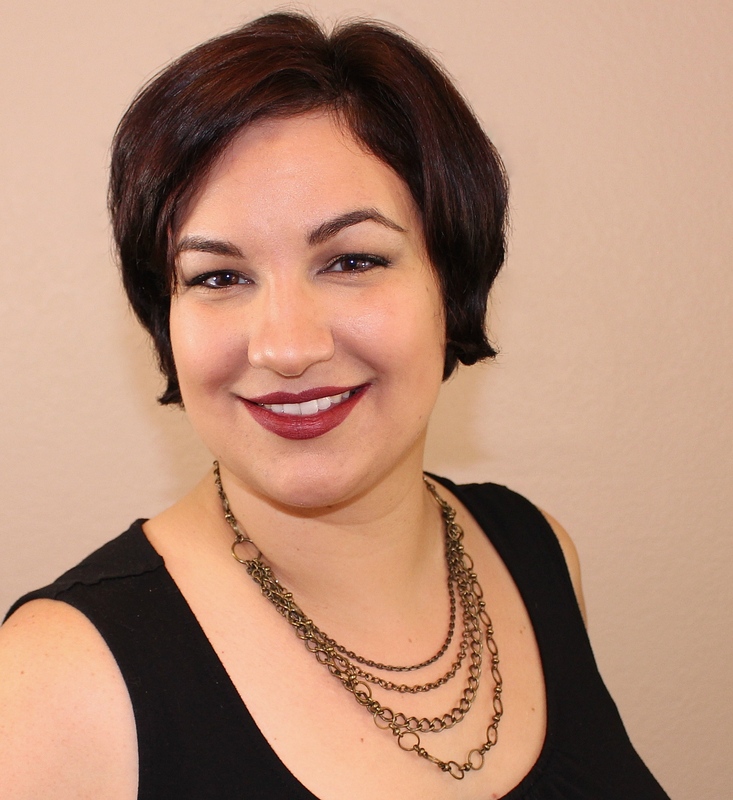 You can also save 10% off your purchase by using discount code QWL91. 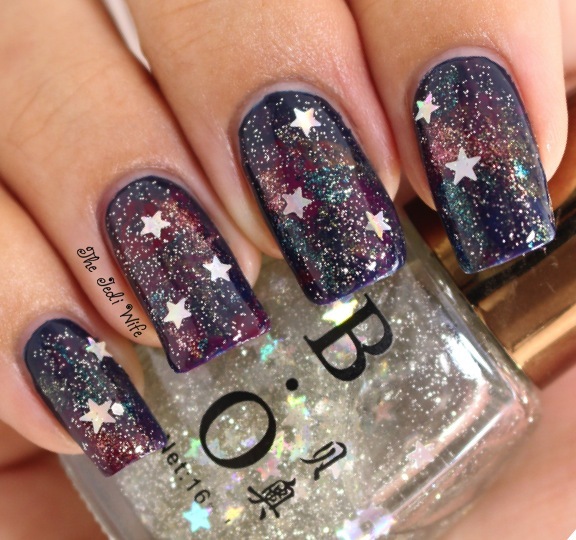 How you used this particular star glitter polish from Born Pretty Store? What sort of nail art look would you create? I'd love to here from you! Until next time, dear readers, have a great day! My eyes got super big when I saw this on your nails. 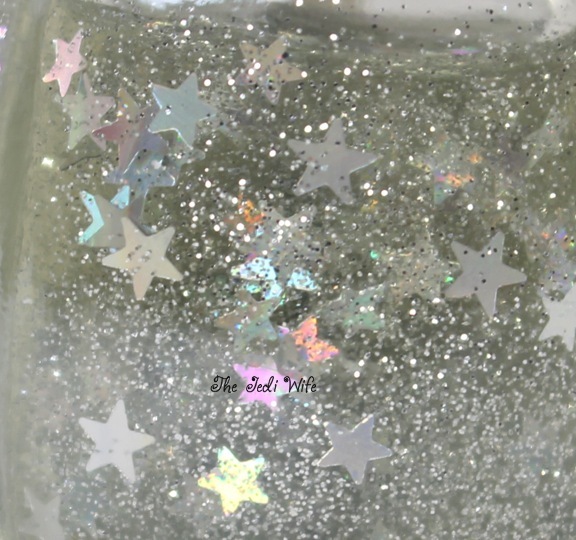 I love star glitters and this one has shimmers, too!!! It's like the perfect glitter topper for everything! !